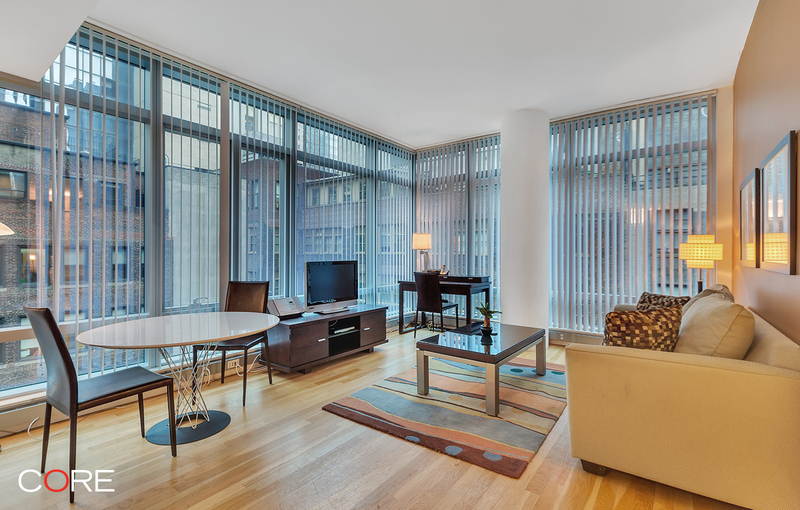 Located in the heart of Midtown Manhattan near Fifth Avenue and close to Rockefeller Center, this unit is fully furnished for immediate occupancy. Over 720 square feet with a full kitchen. 14C is one of the largest one bedrooms in the building. The apartment features floor-to-ceiling glass walls, hardwood floors, high-end kitchen appliances, stainless steel countertops, his-and-her sinks in the bathroom, an oversized tub and a separate shower. There's also a washer/dryer in the unit.